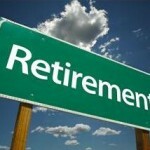 Do you have enough to retire? Request a free Wealth Preservation Plan analysis. Would you like a free consultation about long-term care coverage for yourself or your parents? Planning to leave a legacy for your family but want more liquidity and options while you’re alive? Use this form to request an appointment to meet and discuss your needs. All information is kept confidential. What would you like to ask or say?